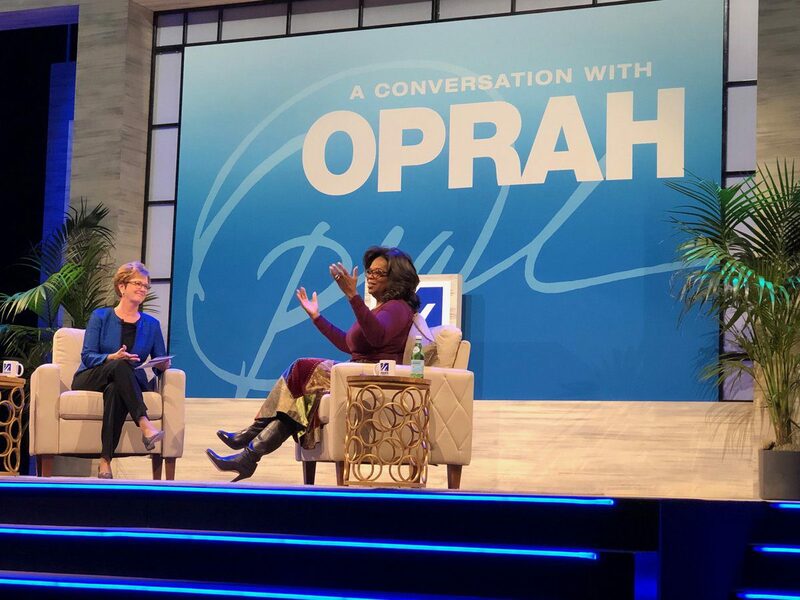 Dubbed the “Queen of All Media,” Oprah Winfrey is one of the most well-renowned media executives, talk show hosts, television producers, and philanthropists of all time. 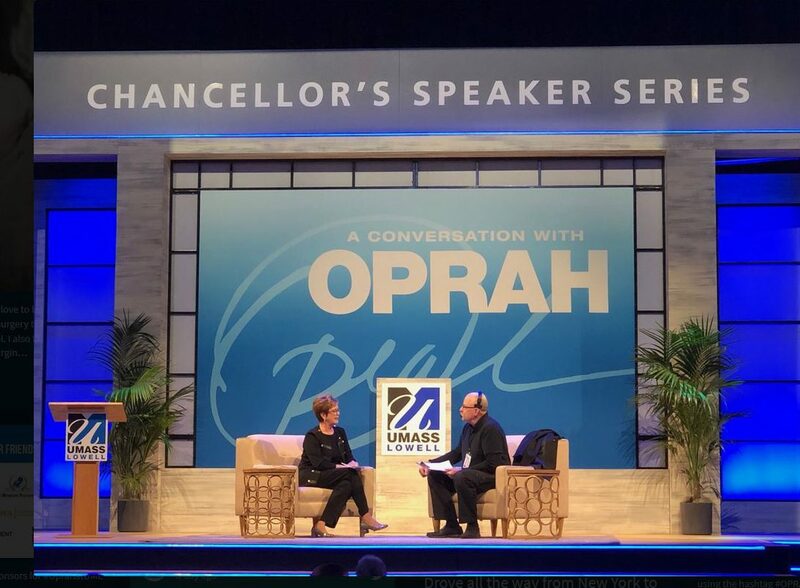 VDA was incredibly fortunate to partner with the Office of Special Events at UMASS Lowell, to create a dynamic stage set environment for the Chancellor’s Speaker Series, held Thursday, November 15, 2018 in the Tsongas Arena, featuring the iconic Ms. Winfrey as the honoree. 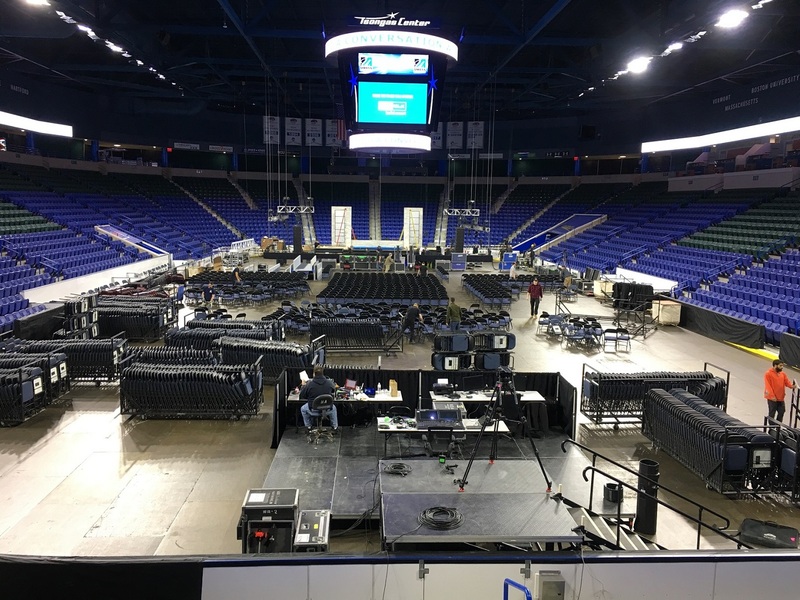 The objective of the speaker series was to serve as a fundraiser in support of scholarships at UMASS Lowell, with 100% of ticket sales going directly to scholarship opportunities. The evening generated $1.5 million in scholarships dollars, an amount which Ms. Winfrey announced she would match. Leading the charge from the #OPRAHatUML team, was Director of the Office of Special Events, Richard Sherburne, Creative Director, Victoria Weinreb, and Associate Director of Hospitality & Event Services, Paige Schaller. The trio collaborated closely with VDA’s Principal Designer and Founder, David G. Breen, to bring a visual richness to the event. There were multiple meetings, some hosted in VDA’s Creative Design Studio, and hours spent poring over materials, textures, colors, and samples. 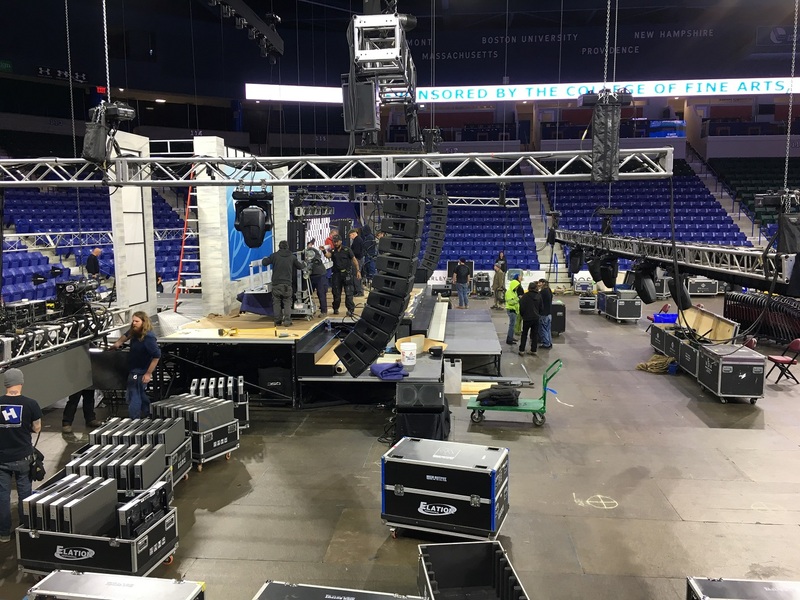 Using LED strip lighting, cut dimensional lettering, faux woodgrain treatments, and carefully selected carpet and furniture, VDA was able to create a physical environment that matched the scale of the space, and fit the branding and messaging goals of both the UMASS Lowell and Oprah teams. 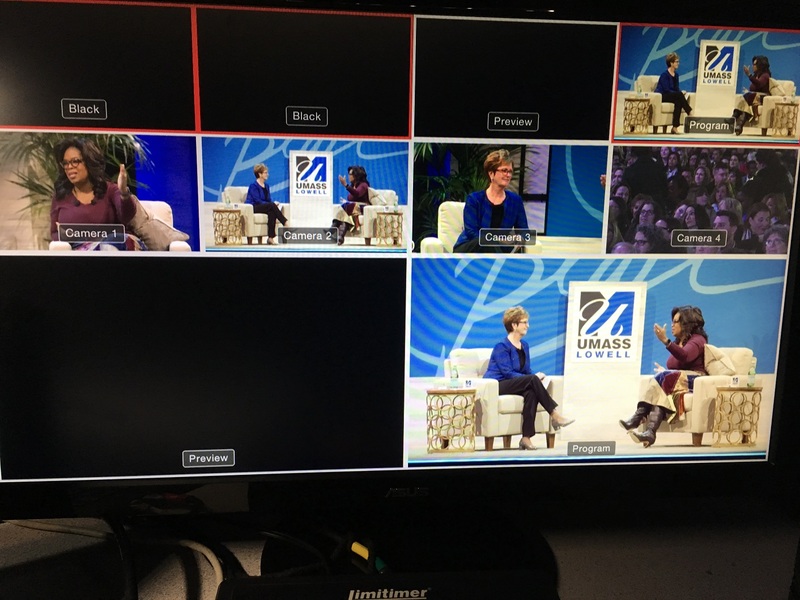 Due to the prominence of the guest of honor, it was crucial to the UMASS Lowell events team that the Chancellor’s Speaker Series was broadcast and recorded. VDA provided full lighting design and audio to further enhance the experience, and support the quality video recording. With expertise in video direction and executive-level production, VDA’s project management team consisted of an Executive Producer to call the show, and a Video Camera Director to provide a seamless combination between the recording needs and the image magnification on the large screens, which resulted in a seamless show flow and smooth audiovisual transitions. As is the case with any show of this magnitude and complexity, there were many changes and shifts as the goals of the presentation were expanded, but the VDA team met those challenges head on and managed the agenda appropriately. While it’s true that the level of talent being celebrated at this show was exceptionally high, at VDA we pride ourselves on producing the same caliber of work for all our clients. For more information on how VDA can help to elevate your next experience, please contact sales@vdainc.com or call +16176281200.